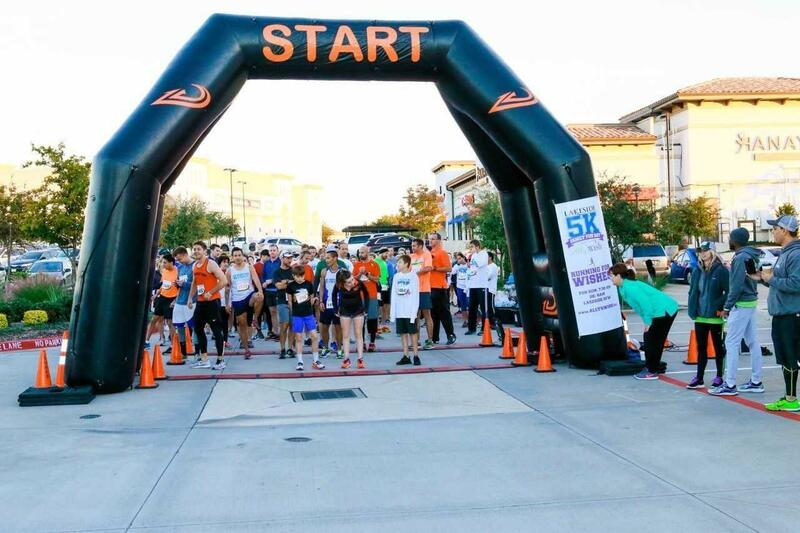 Lakeside DFW hosted a 5K and Family Fun Day benefiting Ally’s Wish on Nov. 3. The event included a 5K race, a one-mile Fun Run, family-friendly activities, music and more. Over 200 runners participated in the event. Robert Avila won the race, followed by second-place Steve Zinecker and third-place Marcele Rebodos. Ally’s Wish is a nonprofit organization founded in Flower Mound devoted to granting the last wish to young, terminally ill mothers with children. Wishes are granted in the form of services, gifts, transportation, lodging or any other wish the mother may have. Since inception, more than 75 wishes have been granted to families across North Texas and the U.S.
Organizers said these wishes are important in creating not only memories in the moment but also memories to cherish for the children they leave behind. Lakeside officials said they were honored to be a part of this special cause and contribute in a meaningful way.